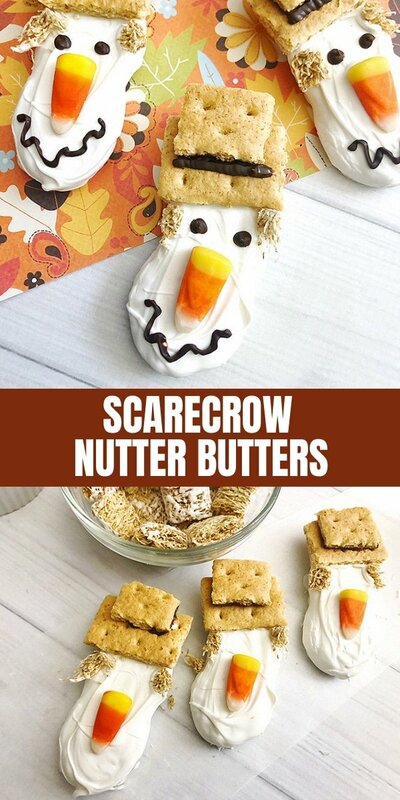 Scarecrow Nutter Butters are super cute treats kids and adults alike will love. 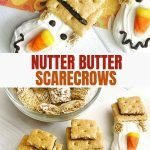 Fun to make as they are to eat they’re perfect for Halloween or Fall themed parties. 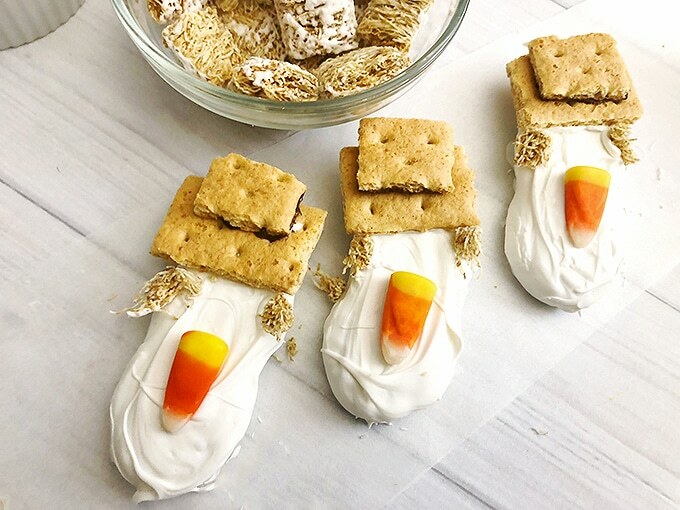 Halloween is just three weeks away and if you’re looking for cool ideas for your party, you’ve come to the right place! 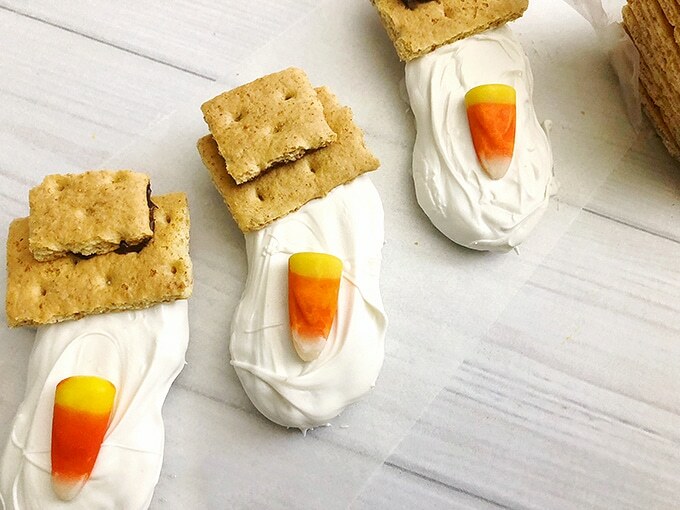 There’s a great list of fun food and crafts on the blog to help you celebrate in ghoulish style and more coming in the next few days! 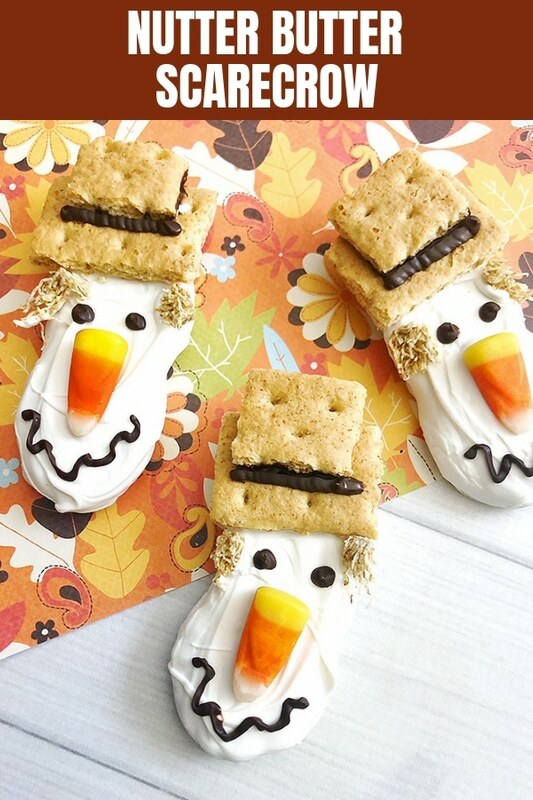 Another addition to our Halloween list are these scarecrow cookies which are just too cute for words! 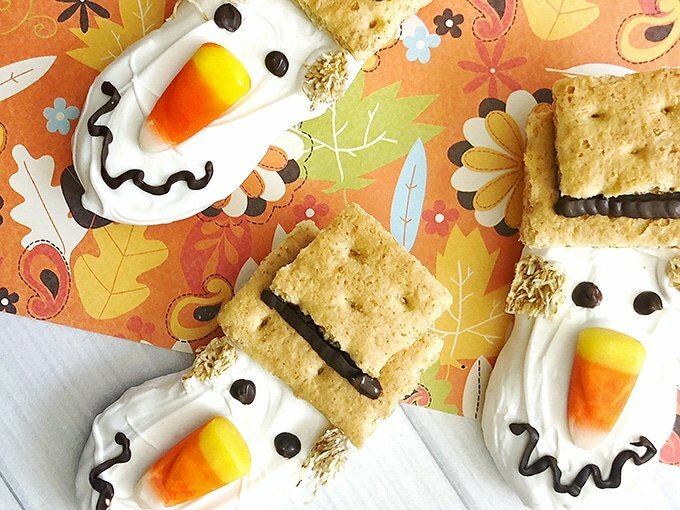 More adorable than spooky, they’re sure to be a hit with kids and adults alike. 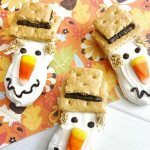 These scarecrows cookies are a fun activity to do with the little ones; they’ll have a blast putting them together as well as eating them! In a small microwave-safe bowl, heat 2 cups of the white candy melts on 50% power for 3-4 minutes, stirring every 30 seconds until melted and smooth. In another small microwave-safe bowl, heat 1 cup of the light cocoa candy melts on 50% power for 3-4 minutes, stirring every 30 seconds until melted and smooth. Dip a Nutter Butter in the melted white chocolate and use a spoon to fully coat, letting any excess drip off back to the bowl. Place coated cookies in a single layer on a parchment-lined work surface. 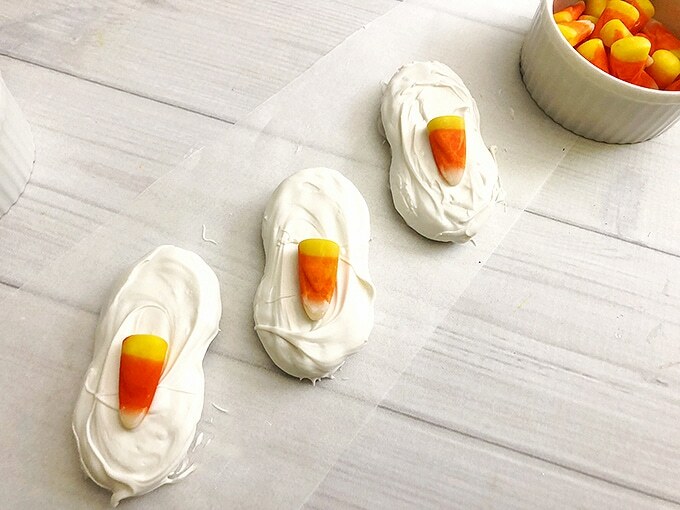 Place a piece of candy corn with the point facing down towards the bottom center of the nutter butter. 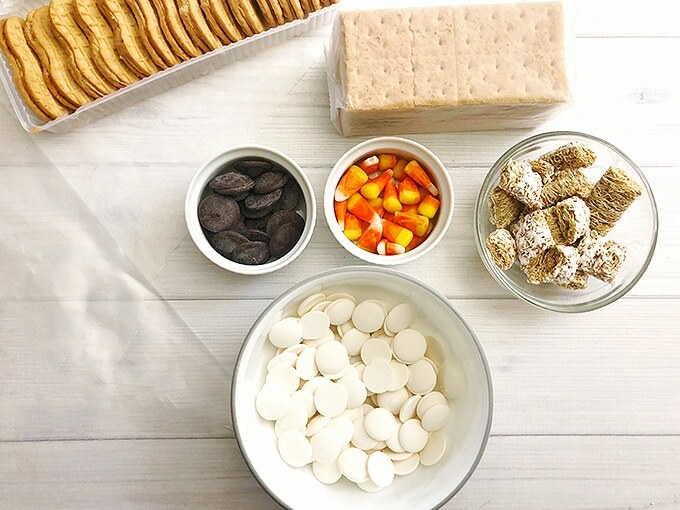 Break a couple pieces of graham cracker into a small rectangle and into a smaller square. 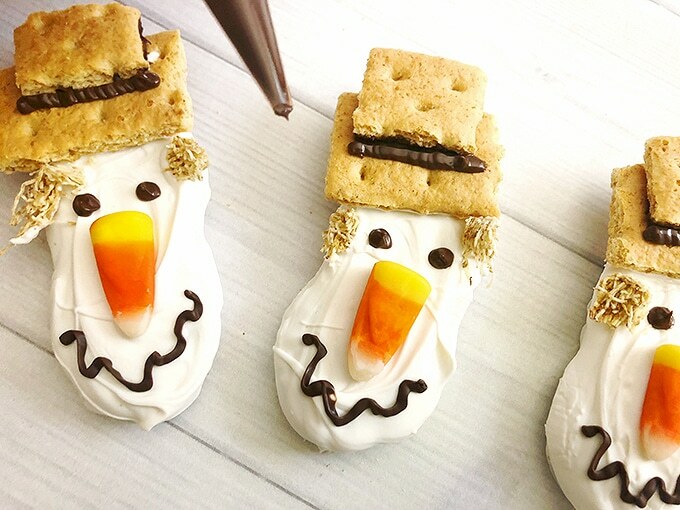 Apply a little dab of melted chocolate on the back of the smaller piece of graham cracker and gently stick onto the larger rectangle to resemble a hat. 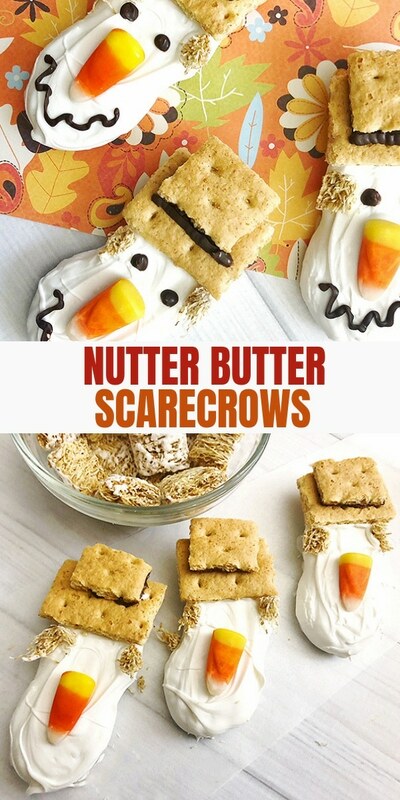 Carefully set the graham cracker “hat” onto the top of the Nutter Butter. 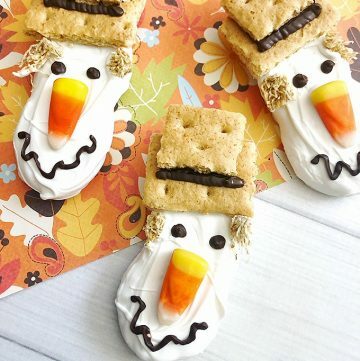 Break apart small pieces of frosted mini-wheats and stick on the front sides of the hat. Freeze the cookies for about 10 minutes or until firm. 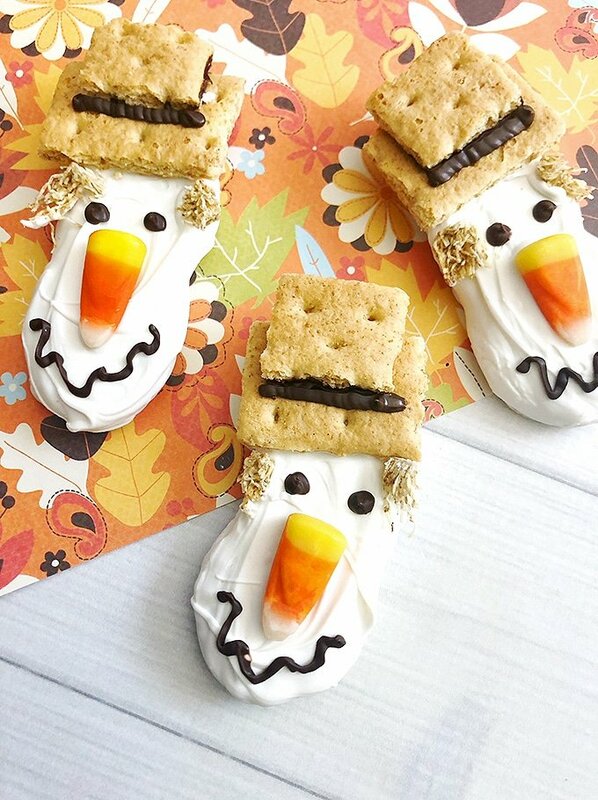 Fill the decorating bag with melted cocoa candy melts and use to draw “eyes” below the hat, a wavy smile under the candy corn nose, and a line across the graham cracker hat. Refrigerate for about 5 minutes or until cookies are set. Enjoy! 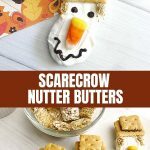 Scarecrow Nutter Butters are super cute treats kids and adults alike will love. 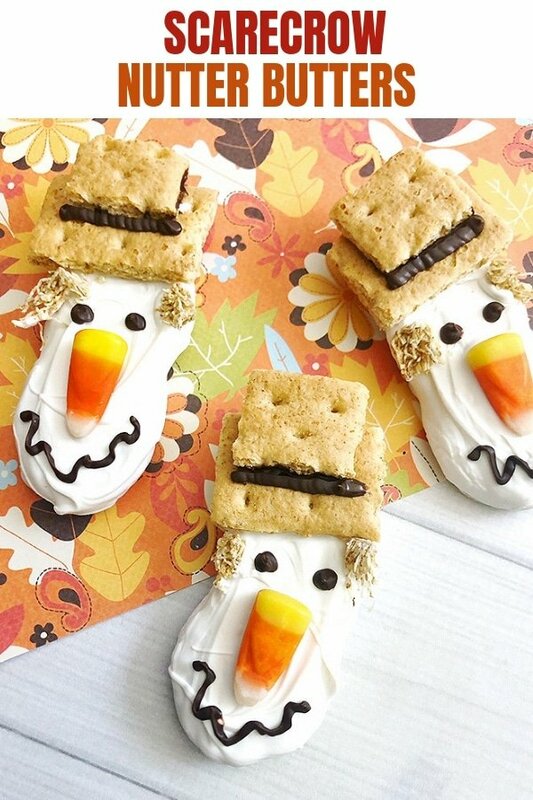 Fun to make as they are to eat they're perfect for Halloween or Fall themed parties. In a small microwave-safe bowl, heat 2 cups of the white candy melts on 50% power for 3-4 minutes, stirring every 30 seconds until melted and smooth. In another small microwave-safe bowl, heat 1 cup of the light cocoa candy melts on 50% power for 3-4 minutes, stirring every 30 seconds until melted and smooth. 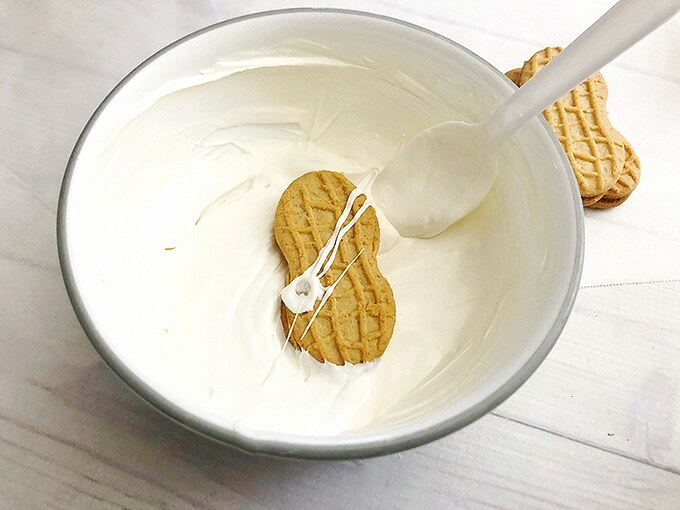 Dip a Nutter Butter in the melted white chocolate and use a spoon to fully coat, letting any excess drip off back to the bowl. Place coated cookies in a single layer on a parchment-lined work surface. Freeze the cookies for about 10 minutes or until set. 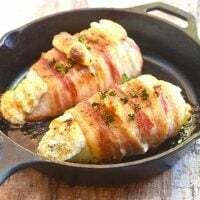 Refrigerate for about 5 minutes or until cookies are set.